How would you celebrate if you won a share of $21 million? Being a great time of year to travel and escape the cold months, we came up with 21 things you could experience if you won $21 million. Famed for its dramatic cliffs and wild seas, the Great Ocean Road is a must visit destination. Nestled among the beaches are some of Australia’s best small towns, including the portside at Port Fairy. Here you’ll find over 30 cafes and remote lighthouses. Don’t miss your chance to see what’s remaining of the 12 Apostles from the air – hire a helicopter for breathtaking views of the sweeping coastline. Scattered among the Aegean and Ionian Seas there are 227 inhabited islands, making the choice of which 21 to visit harder than you may think. 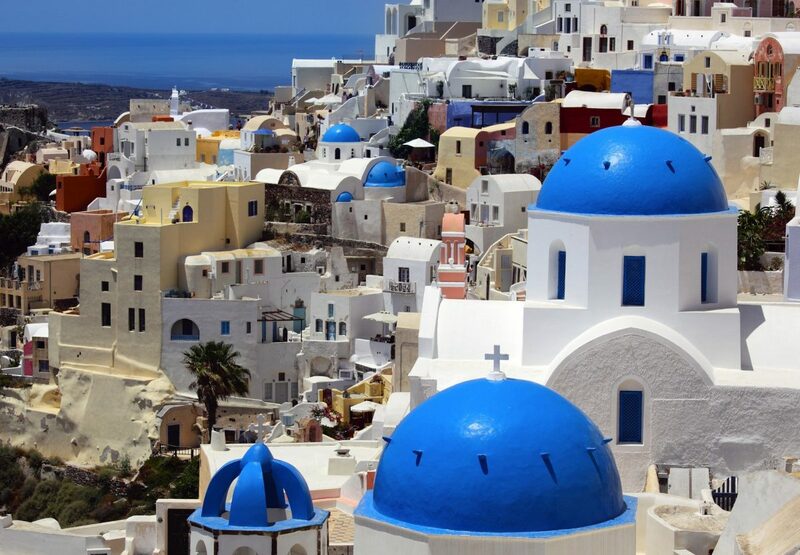 Among the most well-known islands are Mykonos, for white homes with splashes of colours across windows and awnings; Rhodes the home of a world heritage site – the Medieval Old Town of the City of Rhodes; and Santorini with its iconic blue-domed buildings sitting on the volcanic cliffs. Hawaii’s snow-capped Mauna Kea ‘White Mountain’ Volcano on the Big Island. Take a 4WD to the 14,000 summit then take a careful path down the volcano, keeping an eye out for exposed rocks (you will have to bring your own snowboard or skis). Arrange for a car to meet you at the bottom, change into boardies and swap your snowboard for a surfboard in order to take on Hawaii’s famous waves. Aitutaki is home to one of the world’s most beautiful lagoons, populated by tropical fish and small uninhabited islands. 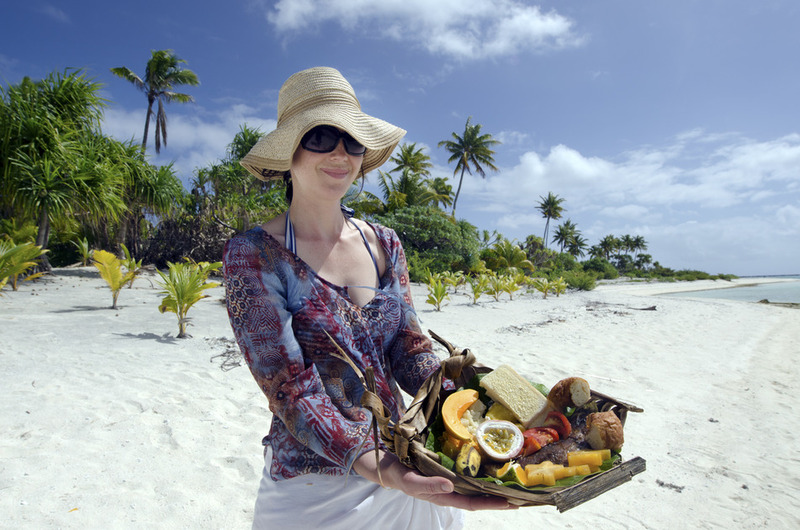 Visit the picturesque One Foot island, dine on a basket of fresh tropical fruit and then post a letter home via the local post box. There are safe options like snorkeling with the ‘vegetarian’ sharks at Sea World, or for the more daring, try cage diving with Great Whites in South Australia or South Africa. This adventure is one you’re sure to remember for the rest of your life. Mon Repos on the coast of Bundaberg is home to eastern Australia’s largest population of nesting & loggerhead turtles. 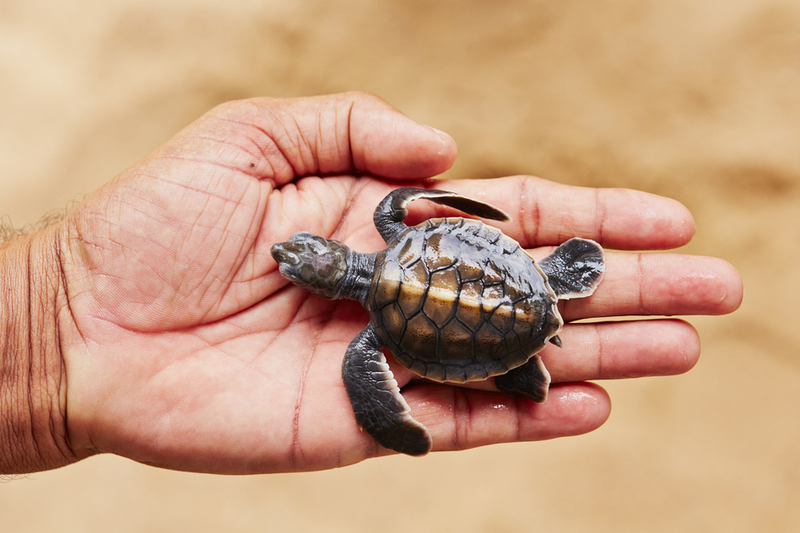 After watching up to 100 turtles spill out of a nest like volcano lava, follow your guide towards the ocean and you may be able to use a spotlight to assist the turtles make their way down the beach and into the sea. Why haggle with gondola drivers the best rate for a 15 minute ride when you can have your own captain guide you to the best spots of Venice. From local restaurants, hidden island villages, local galleries to the best gelato, the locals know the best sites of this world-famous city. Bid on an overpriced piece of modern art or picture of aristocratic posing with their dog! Sotheby’s and Christie’s are found in the historic Mayfair area of London. If you flash the cash you can join the upper classes in a bidding war. 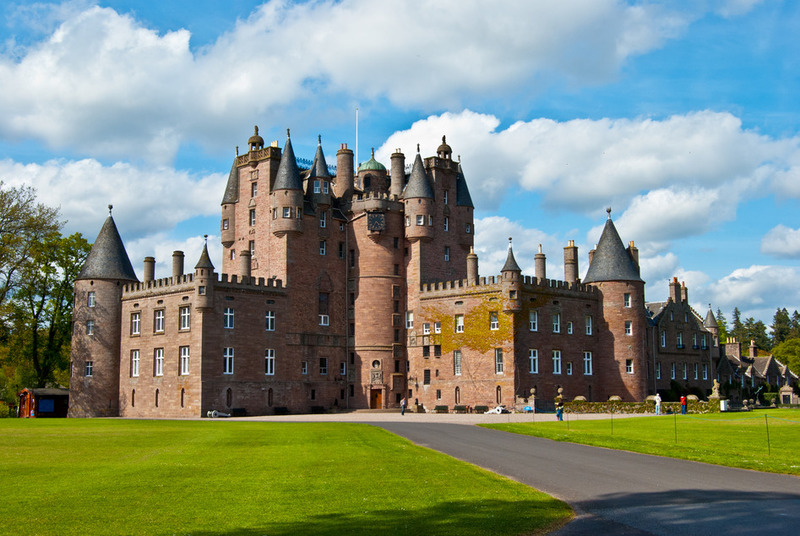 You can even become a Laird (Lord) or Lady by purchasing a square foot of Scottish land. Glamping in Brazil has never been as exhilarating as when you are lying in your balcony hammock high up in the treetops, listening to the tropical wildlife. Enjoy those English countryside upper-class murder mystery TV shows? Then why not join a Murder Mystery Weekend at a grand manor home in South East England and play your part as if you were born to appear on West End. 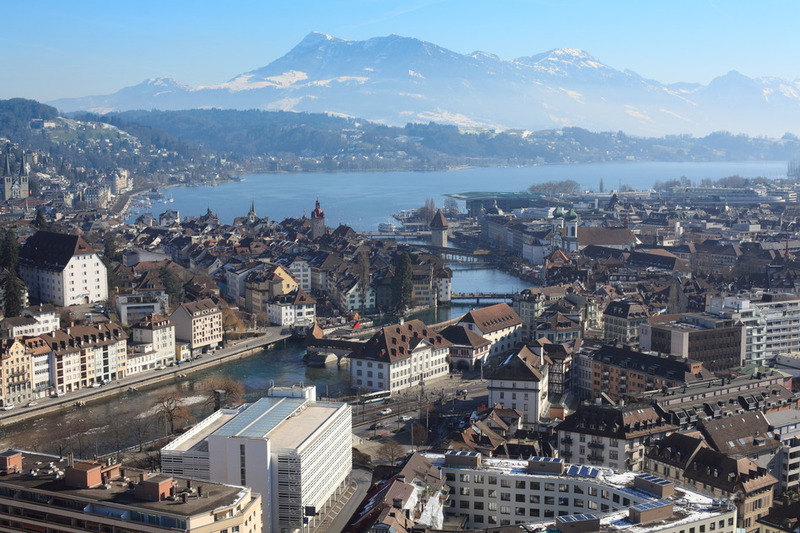 From the cold halls of Malmaison in Oxford to the scenic township of Lucerne Switzerland, you can experience the silence and solitude of a solitary prison cell for a weekend. Lucky for you, hard beds and single toilets are upgraded to the comparative luxury of mattress strapped beds with a choice of pillows and in-built ensuite complete with a set of white fluffy towels. In Kakadu, Northern Territory there is a Jabiru hotel built in the shape of a crocodile. Book a room for the night, then experience a crocodile cruise of Alligator River (explorer Lieutenant Phillip Parker King wasn’t good at identifying ancient beasts) and fish for 70cm barramundi. Feel the wind bite your skin, while rushing through the snow on a dog sled, led by a pack of huskies in Lapland, then be awed by the northern lights at Abisko – coming to understand why in ancient times they were considered a sign of the Nordic gods. Tick that off your bucket list. Choose from 5 day courses or introductory dives on a sailing boat – there’s no wrong way to go about it. Wave hi to Nemo, count coral that matches each shade of a rainbow and try to grab a selfie with the Queensland Groper fish that can grow up to 2.7 metres long! Leith’s School of Food & Wine has been visited by royalty – with the Duchess of Cambridge undertaking a two week class at the famous college. If you prefer a side of scenery with your food, why not try a Le Manoir aux Quat’ Saisons course, held in a 13th century manor restaurant. The hottest new place in the world for whiskey is offering distillery tours. Visit nine local drops and learn the process of whiskey creation and to identify the features of single malt. Home of fun, Las Vegas, offers Zero-G flights for around AU$6,500. The day includes training and a flight aboard a modified Boeing 727 for 30-second intervals of weightlessness. You’ll be amongst good company – Stephen Hawking and Martha Stewart are past flight guests. It’s easier than you think! Mt Kosciuszko in NSW is 2,228m. But if you begin from the top of Thredbo’s Kosciuszko Express chairlift you only have 459m left to climb! The 13km return track is an easy circuit to complete in a day – and you’ll have time spare to whip out your phone and upload photos of your feat to Facebook. Who said some skills are unnecessary? Ice skating rinks can be found in Australia’s largest cities – or you can head to the heart of ice hockey and venture onto an outdoor Canadian ice rink – they are as common as neighbourhood basketball courts in winter. Take some tips from a local on the half circle movements required to build up speed, but first don’t forget to learn how to stop! Made famous from westerns to road trip movies, hitting the open road and exploring the small towns and cities of Middle America comes with a range of experiences and surprising cultural discoveries. Start in Chicago and wind your way through 8 states, including Oklahoma, Texas, and Arizona, before finishing up in California. Before you start building your wish list, you have to be in it to win it! Purchase a ticket on Oz Lotteries today!